Kings County Honda | Honda dealership in Kentville. Thank you for visiting Kings County Honda, your preferred Honda dealer in Kentville, near New Minas, Halifax and Dartmouth. We’re conveniently located at 933 Park Street in Kentville. We are your Annapolis Valley Honda dealer! Since 1993, Kings County Honda has been giving our customers a low-pressure, transparent sales experience, where you know that you’re going to get the best value for your money when you purchase or lease a new Honda or used vehicle. 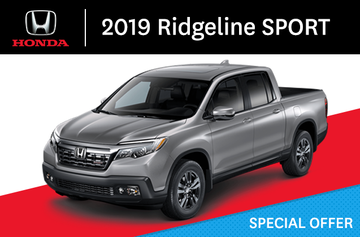 You can feel confident knowing that the sales professionals at your Kentville Honda dealer are going to get you behind the wheel of the right car, truck or SUV at the right price. In addition to being there for our customers, we’re also very active in our community. Our business is built around the people we serve and the area in which we live. To learn more about specific organizations and events that we support, please contact us. We invite you to come in and visit our showroom where our professional and friendly sales team is 100% committed to your satisfaction. Remember us always for "Cars you can depend on! A dealer you can depend on!"